WASHINGTON — Following the death of Sen. John McCain, three former secretaries general of NATO put forth the idea that the alliance’s new headquarters should be named after the longtime U.S. politician. But NATO’s current secretary general threw cold water on that idea during a Friday appearance in Washington. Asked about the possibility, Jens Stoltenberg, who has held the job since 2014, heaped praise on McCain, a “life-long” advocate for the alliance. But he quickly noted that there are many world leaders who might also qualify for the honor, and that the realities of NATO mean its probably not going to happen. 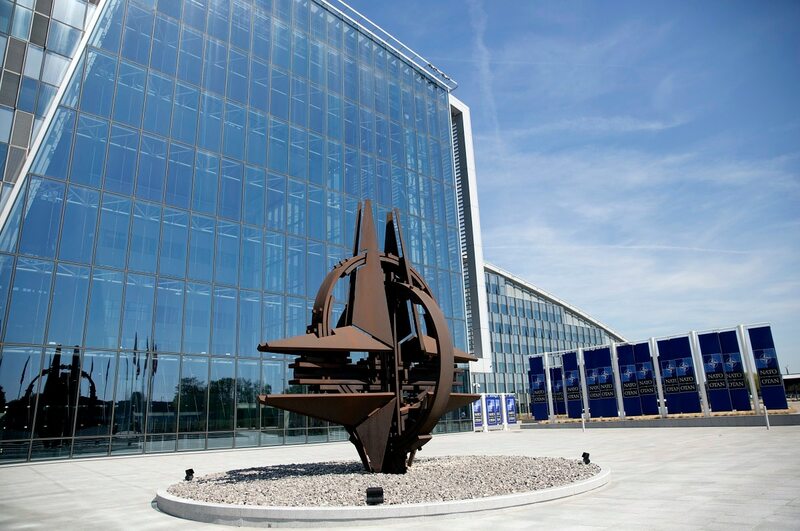 “NATO doesn’t have a tradition of naming building[s] after politicians. We are 29 allies, with a lot of presidents, kings, heads of state and governments. So we haven’t introduced that tradition,” the NATO head told an audience at the Heritage Foundation. The bills are the latest moves by Congress to reaffirm support for NATO in the wake of Trump’s polarizing performance at a NATO summit in Brussels. Stoltenberg was among several European defense leaders who made the trek to Washington for McCain’s funeral. Another was Jüri Luik, Estonia’s defense minister, who traveled roughly 7,000 kilometers each way just to be in Washington for the day of the event. Speaking to Defense News after the ceremony, Luik praised McCain as embodying the “very strong bond” between the U.S. and Europe, and cited specifically the late senator’s support for the Baltic nation’s bids to join NATO as a major factor for alliance expansion. McCain “was also a very skillful senator; as a lawmaker, he knew how to bring these ideas to the forefront and to make them mainstream. So in the end when the Baltic membership decisions were made, it looked like a foregone conclusion. And the Senate ratified the Baltic membership to NATO [96-0]. Overwhelming. And a lot of that work was done by Sen. McCain,” Luik noted. While more enthusiastic for the idea than Stoltenberg — Luik called the idea of naming the new NATO building after McCain “a great idea” with “a lot of symbolism" — the Estonian official acknowledged that alliance realities make it unlikely.